Strange things are happening on my dash board. I have a yellow swirly line that is getting bigger on my dash. I called the service department in the dealership... He's never seen it before. 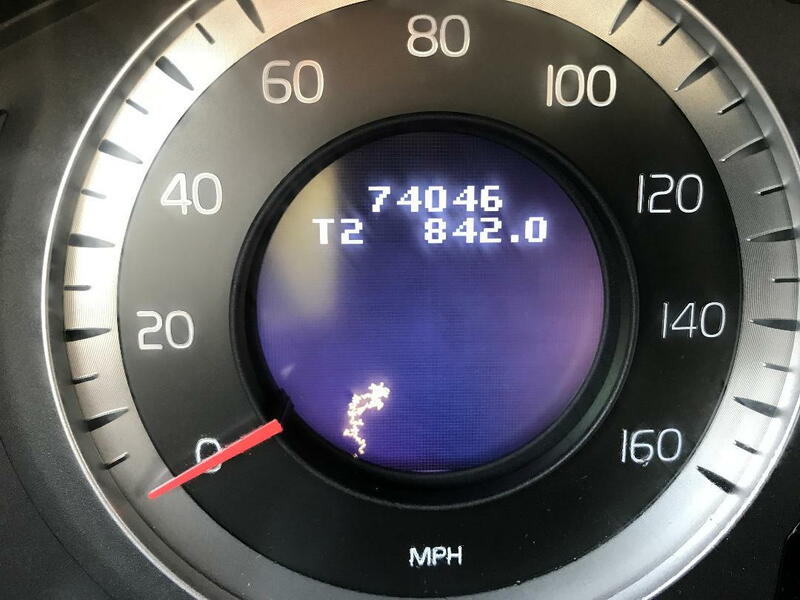 I contacted Volvo Customer Service and they never saw it before and said I would have to pay for a diagnostic charge of $140 to see if the dealership can find out what it is. But the dealer never saw it before in all the years he's been a service manager. I live in California. It is 3 times the size of what you see in the photo now and I took the picture a month ago. It's there wen the car is off and on. Can you tell me if this has happened to anyone else? It would be difficult for me to sell the car. Last edited by Lvc595; 11-09-2017 at 01:11 PM. Looks like a problem of some sort. Certainly not an "error message icon" I've ever seen. I know.. I do not get an error message. I just wonder if more S80's have had this issue. Would be nice to know. How can I spread the word? Thanks for your response. While I haven;t seen this on a S80, some instrument clusters with digital screens (BMW M5's come to mind) have a problem with dead pixels that render the readout eventually unreadable. There are aftermarket services that will refurbish the screens to restore them to like new. Not sure if this is what you have, .perhaps tracking one of those services down might provide some additional insight. Good luck. I wouldn’t even know where to befin to look for a company like that. I currently live inbetween San Luis Obispo and Santa Barbara. Strange that Volvo has no idea what it is. Now I’ll never be able to sell my car. Help: Airbag poped out and Now I need a new dashboard. help! want to buy a 240 and I need to know!